A design which impresses from every angle. 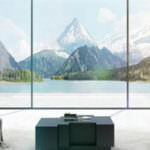 The ALUK sliding door system Infinium slows for wide panoramic views with natural daylight and offers greater comfort. Its high levels of thermal and acoustic insulation combined with its wide range of configurations will satisfy any architectural requirements. The Infinium sliding door by ALUK adds exquisite harmony to a property with a seamless connection to the outside. Creating a free-flowing space with a sliding door that has slim sightlines and allows natural sunlight to pour into a room. Enjoy uninterrupted landscapes and a floor-to-ceiling quality glazing that is the epitome of luxury. Featuring a fully concealed aluminium outer frame and sash, the ALUK Infinium sliding door has flush thresholds offering ease of access. The overall effect of this particular model is charming, practical, minimalist and versatile. With more and more architect and designers requiring minimal sightline disruptions, the ALUK Infinium sliding door offers the perfect solution. The profile is flexible and has a range of customisation options to create a unique sliding door that is bespoke to the project it is being implemented into. Available in single and dual colour options, with a range of anodised or powder coat finishes available, the ability to have the sliding doors blend seamlessly into a property is simple and effective. The stunning glazed doors speak for themselves. You can take a look around our showroom with this clever virtual tour. Take a peek at the products and profiles we have on show. Marvel at the simplicity and elegance of the ALUK Infinium sliding door in our product video. We have a range of videos for our products, so if you have any questions simply get in touch. The ALUK Infinium sliding door features a concealed locking mechanism in the form of a lateral locking handle. The lock is fully integrated into the 21mm interlock profile. The hardware is discreet yet flush with the profile so that you can enjoy peace of mind about the security and safety whilst enjoying an attractive finish. You can have up to six sashes for large projects or for areas that demand increased glazed space. Our aluminium rollers have been engineered to ensure that the panels require only the lightest touch to open and close them, with minimal force or hassle. For modern homes that require wall-to-wall glazing and an impressive sliding door solution that pushes the boundaries, the ALUK Infinium offers this and more. A flush threshold and concealed hardware finish completes the minimalist look and emphasises the luxurious nature of this sliding door product. The ALUK Infinium sliding door is a piece of architecture to be marvelled at, adding value and inspiring thought. It is a powerful element to a project that injects light and space into a room and results in a flush and smooth finish on the exterior. Take a look at the brochures below that include technical information and specifications. You can download these to view them offline and in your own time. The ALUK Infinium sliding door adds hidden beauty to a project, adding protection, a calming atmosphere and comfort. Whilst it looks stunning and adds kerb appeal, it also works hard to bring warmth to a home and keep noise pollution to a minimum. When it comes to the installation of our sliding doors, we focus on attention to detail and precision. The ALUK Infinium sliding door is an efficient addition to any property with exceptional functionality combined with flawless aesthetic. Allowing beautiful views and complete design freedom, the ALUK Infinium sliding door is an architect’s dream with versatile and flexible configurations. 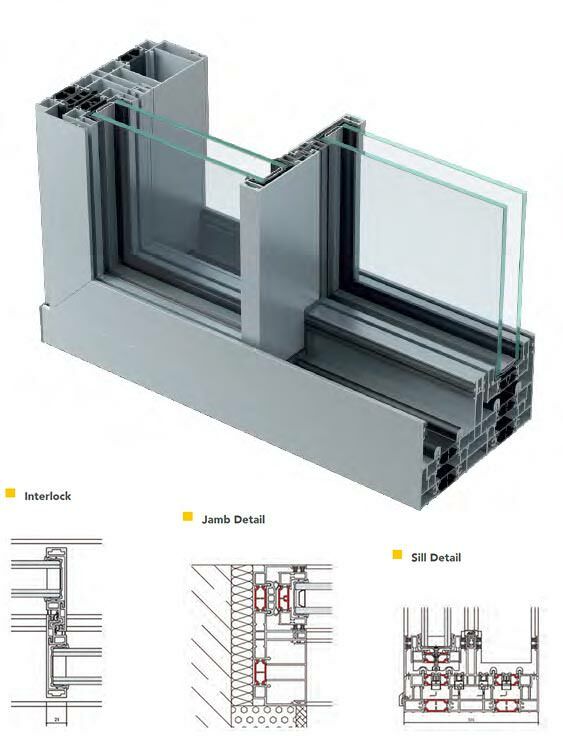 It is an ideal choice for new builds, penthouse apartments, luxury hotels, high-end properties and contemporary builds that require large glazing panels. The robust design includes the highest quality fitting available in order to ensure the system works flawlessly every time and offers outstanding thermal performance. You can contact us today for a free quote for your front door today. Whether you’re looking for the ALUK Infinium Sliding Door model to be implemented into a residential or commercial project, we can assist. Simply visit our contact page and fill out our online contact form. A member of our expert team will be able to answer any questions you may have. We are happy to recommend or advise on the most suitable products for your needs and requirements. Is the ALUK Infinium Sliding Door suitable for large widths and heights? Infinium allows for wide panoramic views with natural daylight and offers greater comfort. Options include one or more opening panels with large width and height dimensions up to 3500mm (H) x 3200mm (W) max, and a floating corner post which allows for a larger opening space. Do the ALUK Infinium Sliding Doors require swing space? The ALUK Infinium sliding doors don’t require swing space as the panels open up behind the frame. This makes them a compact and simple solution for a range of purposes, maximising floor space and maintaining ease of access. Are the sliding doors strong and weatherproof? The ALUK Infinium sliding doors are extremely strong, created with premium grade aluminium that is robust and durable. The sliding doors feature waterproof features to keep moisture out and warmth in, resulting in excellent thermal efficiency and protection from the elements. Get Directions to Our Showroom!